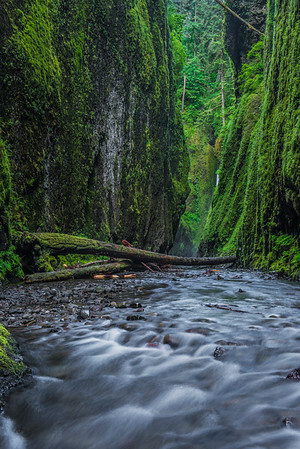 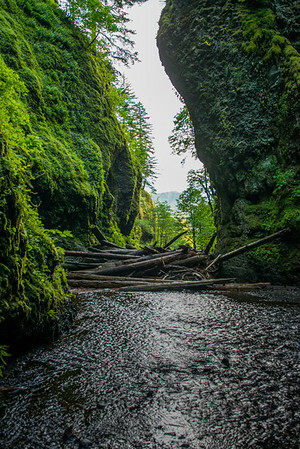 In order to get into the Oneonta Gorge you have to cross over this log-jam. 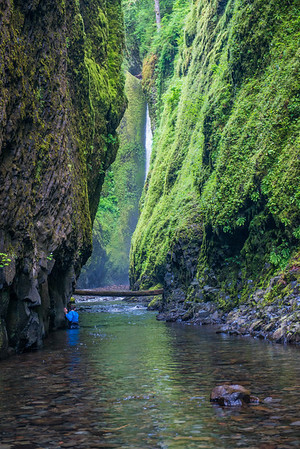 Fun climbing! 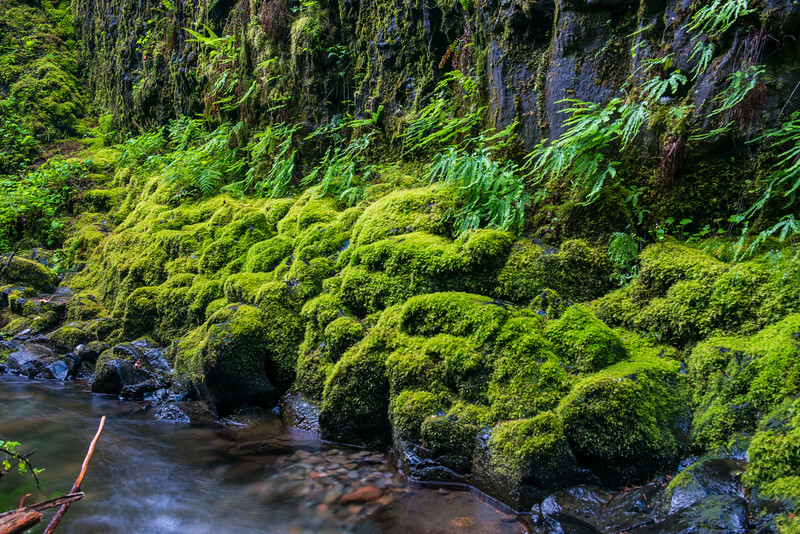 I loved all the mossy green rocks and ferns here. 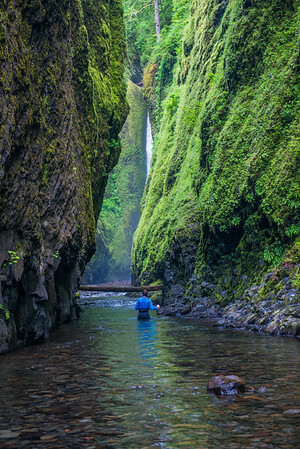 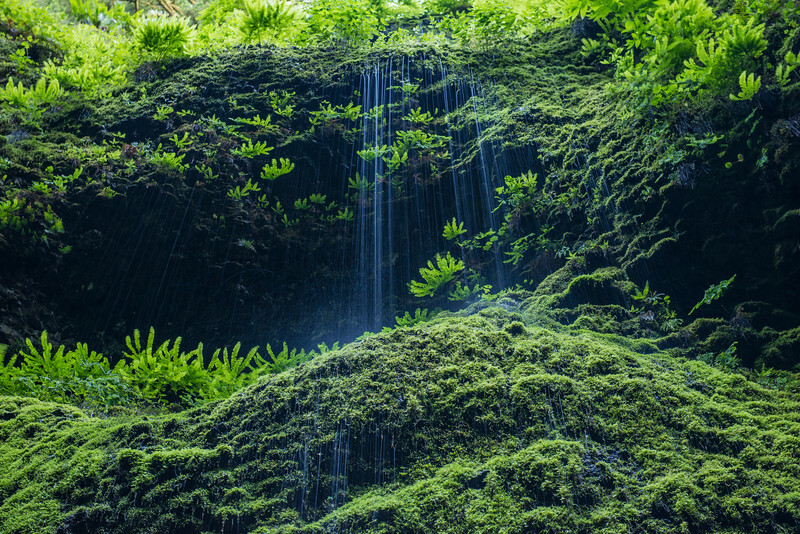 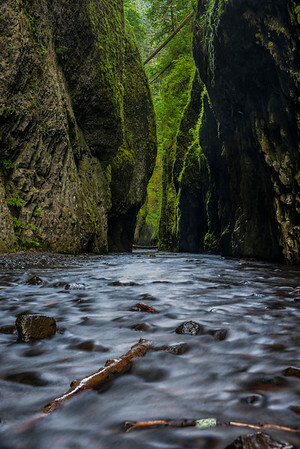 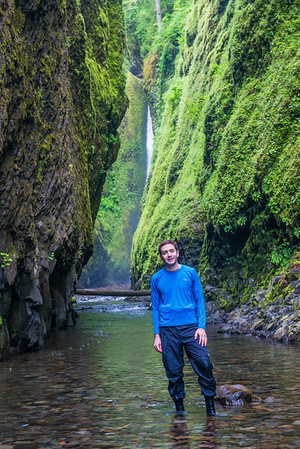 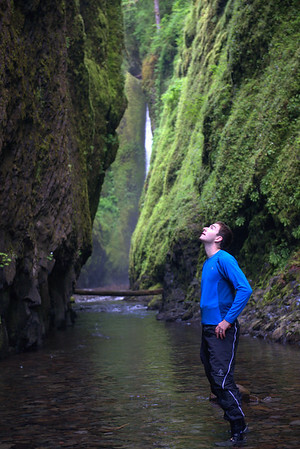 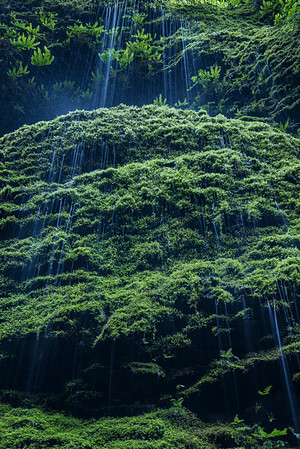 Hidden in the back of Oneonta Gorge is a beautiful waterfall. To get here you have to cross a deep portion of the river. 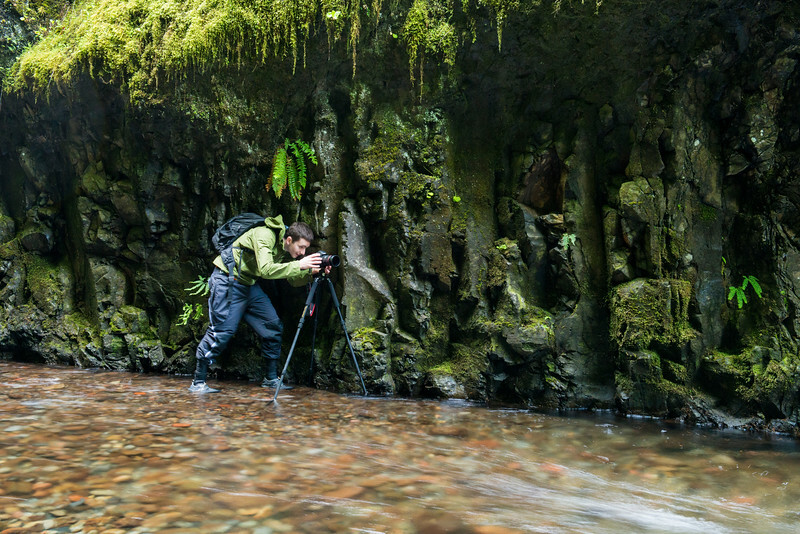 It was too deep the first time I was here but andy went to test its depth.